School can be a dirty word when it comes to PANDAS/PANS. Or it can at least be preceded by a few choice words whenever it’s discussed. 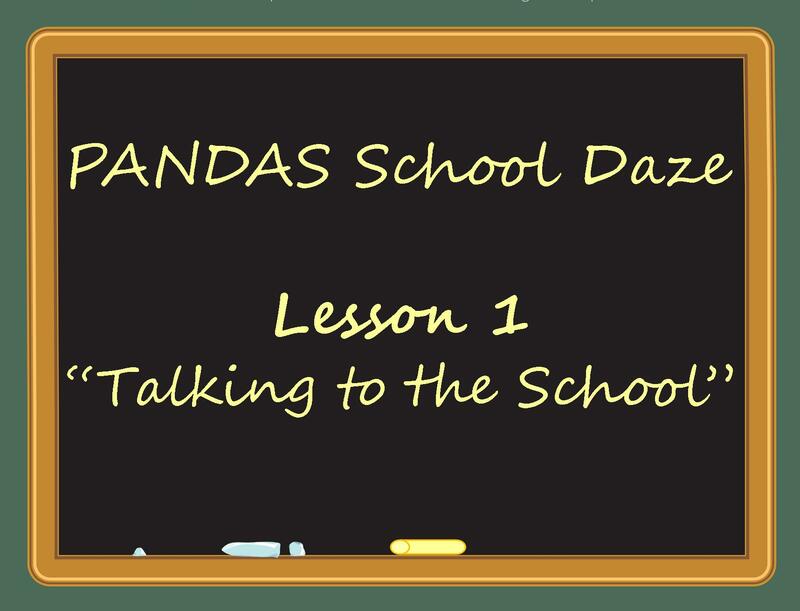 This “PANDAS School Daze Series” will hopefully provide some good tips on making the school year a bit easier. Lesson 1: Talking to the School. It can be quite a balancing act trying to discuss PANDAS/PANS with your child’s school. On one hand, you are your child’s ONLY advocate and need to be his/her voice. On the other hand, being THAT parent (you know what I mean) can have some negative consequences too. And you may have multiple children at the school and/or be dealing with multiple teachers. Let’s face it…dealing with PANDAS/PANS at school can be stressful and emotional for various reasons. Yuck. How do you find the right tone, frequency, and information to talk to the school about PANDAS/PANS? But even if you are undiagnosed and just suspect PANDAS/PANS, you can begin to share information about the condition. Recruit the teacher(s) to help you track symptoms/issues to help in diagnosis. Having the teacher on board can really help since some PANDAS/PANS kids lose it at school but hold it together at home. For other children, they are model students but are a mess by the time they get home after holding it in all day. Good luck getting all of that homework done. And it can take months or years to get an accurate diagnosis, and you want your child’s school performance to be supported as much as possible during that time. Things do shift once you find PANDAS/PANS as possible cause for your child’s school issues. Suddenly, there is a MEDICAL explanation for your child’s behavior and/or academic changes…BRAIN INFLAMMATION! And if you are walking into a school meeting with an official PANDAS diagnosis, then you have options like IEP/504 Plans with accommodations that are backed up by federal law. Or maybe your child has been diagnosed with another condition (OCD, Tourette’s, ADHD, anxiety, etc…), but traditional treatment isn’t helping. Finding PANDAS can finally put you on the right track to to getting real help for your child. Additionally, PANDAS/PANS can affect math skills, handwriting via fine motor control, art, and other subjects. Getting help can ensure that the child does not fall behind academically. You may be able to get accommodations for absences/tardiness and avoid truancy complications (don’t even get me started on that topic!). We will address real strategies to use in the classroom in another PANDAS School Daze lesson/article (Lesson 4). So, what do you talk about during a school meeting to discuss PANDAS/PANS? Only you can decide exactly what details to share about your child’s specific condition. Depending on your child’s age, s/he may also have opinions on what should be shared with her/his teacher(s). And it is very likely that school personnel will not know much or anything about PANDAS/PANS. Only very rarely do I ever hear that the school tipped off a family to the condition. I will tell you that when I talk to teachers about PANDAS/PAN that I usually find them to be curious and eager to learn. Here are some tips for helping communicate some key points about PANDAS/PANS with your child’s school. Most teachers are going to get most of their PANDAS/PANS information from YOU, the parents/caregivers. In a small survey I conducted earlier this year, 50% of teachers with PANDAS/PANS students did say they had read articles and researched the condition on their own, results showed 87.5% still mostly got info from the parents. So, YOU are going to be the best source of PANDAS/PANS info for your child’s school. Gulp! Sadly, school districts and state boards of education are not providing PANDAS/PANS resources to educators…not yet anyway, but we’ll get there eventually. Many parents start with a personal letter about their child’s medical condition and specific symptoms. (Click here for sample letters and and more from PANDAS Network.) You can provide web sites, a letter from your doctor and/or medical reports, books and other pertinent sources. (Click here to find relevant articles to share). Seeing can be believing, and there is a wonderful PANDAS/PANS video released by Moleculera Labs that explains the mechanics of the condition. Find more videos on PANDAS Network’s site and on StrepMonster. Don’t forget to explain that PANDAS stands for Pediatric Autoimmune Neuropsychiatric Disorder Associated with Streptococcus, and PANS is an acronym for Pediatric Acute-onset Neuropsychiatric Syndrome. Click here for a PANDAS Network handout with concise PANDAS/PANS descriptions. PANDAS/PANS is a MEDICAL condition that presents with mental illness/behavioral symptoms. The children have BRAIN INFLAMMATION and cannot control themselves. Strep is the most common infectious trigger in PANDAS, but other bacteria (like walking pneumonia/mycoplasma pneumonia or Lyme), viruses, environmental or metabolic conditions can bring symptoms or set off the condition itself, as in PANS. The main symptom is OCD, and there may also be Tics, with Anxiety, Mood Lability, ADHD, Sleep Disturbances and other issues. A child does not actually have these particular conditions, but rather it is the BRAIN INFLAMMATION that is causing the mental illness/behavioral symptoms. A child’s mathematical ability, handwriting, and other academic functions may also be affected. The exact cause of PANDAS is unknown. It is likely a combination of effects. Boys seem to be affected more than girls with an average onset age of 6.5 – 7.4 (+/- 3 years). Some PANDAS/PANS kids may recover at puberty, but for some, that is when the condition strikes. Onset of PANDAS/PANS symptoms are corresponding to an infection, usually strep (PANDAS). Infection may have been immediately prior to symptoms or up to 4-6 months earlier if the infection did not clear. Some affected children are actually asymptomatic to infections due to immune system deficiencies and will only present with PANDAS/PANS symptoms. Children may relapse with illnesses/infections/exposures. These relapses are not a setback or regression but have a MEDICAL cause. Remission is possible with treatment, and recovery is possible with treatment, which may include antibiotics, IVIG, and other interventions. Exacerbations or flares may vary in length and intensity with a broad mix of symptoms. There may be some correlation between PANDAS/PANS and Autoimmune Encephalitis, and as that theory is strengthened, the MEDICAL side of the condition may become a bit easier to explain. And speaking of Autoimmune Encephalitis…. PANDAS/PANS symptoms can manifest when the immune system is triggered. This means that the child might not “get sick” but still have PANDAS/PANS symptoms. Or they may be asymptomatic to illnesses and only present with mental illness/behavioral symptoms to signal an infection. Exposure to an illness or allergen can have an effect. There may not be an infection or virus present in the child, but usually there will be. This is why a child may be fine in the morning and “lose it” in the afternoon (or sooner). Even a loose tooth or dental work can trigger an immune response and may induce PANDAS/PANS symptoms. This “triggered immune system” concept can be tricky to understand because symptoms may wax and wane, so sometimes a child is okay until they are definitely NOT okay. Use analogies to explain PANDAS/PANS. Request to be notified if strep (and other infections) are present in the classroom. Knowing when there are active infections in your child’s classroom is very beneficial because we’ve already said that PANDAS/PANS is immune system triggered. The child may not actually “get sick” but the PANDAS/PANS symptoms may present with exposure to an illness or an allergen. It can only help you to know what your child was exposed to and when. And even if your child is on daily antibiotics, s/he can still get sick or produce an immune response that brings symptoms. By asking to be notified if strep is present in the classroom, you will be able to better gauge the cause of any behavior changes or symptoms. As you may already be aware, it is school policy to report the type of sickness that your child has when he/she is out with an illness. Thank you so much to those of you who already do this consistently. We ask that you please notify the office as soon as possible if your child is diagnosed with a strep-related illness (strep throat, impetigo, etc…) or mycoplasma pneumonia (walking pneumonia). We have a student who has a severe reaction to these illnesses. The office can then contact the student’s family as quickly as possible. After all this, you might be wondering how I have explained PANDAS to my son’s school. 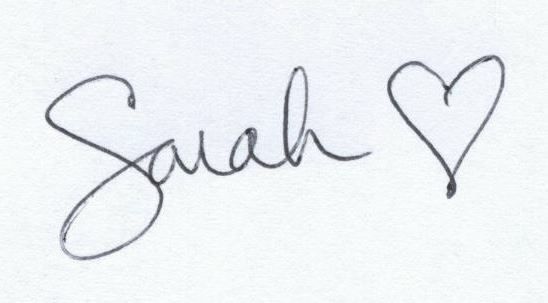 When he started there last year, I took in a personal letter about Jesse’s symptoms and various articles. There had been a previous PANDAS student at the school, so that helped with some initial understanding of PANDAS, but my son’s symptoms were different. Plus, my son was also transitioning back into a regular classroom from homeschool. His first year back in school was a lot of wait and see with a lot of meetings. And even though I have this blog, head up a local support group, have spoken at national PANDAS meetings, and everything else I’ve done for PANDAS/PANS advocacy, I will admit that dealing with school is still pretty emotional for me. Interesting article about Exercise and Histimines: I found this over the summer, and it makes me wonder if some of my son’s physical education issues could be related to an allergic reaction and histimines. Competition is also not one of his favorite things either, so it’s hard to tell. Childhood Interrupted: The Complete Guide to PANDAS and PANS : I gave the school a copy of this book by Beth Alison Maloney (Chapter 11 covers Education). Maloney also wrote Saving Sammy: A Mother’s Fight to Cure Her Son’s OCD , a book that details her son’s PANDAS diagnosis and his recovery. PANDAS Network: organization dedicated to improving the diagnosis and treatment of kids with PANDAS/PANS. WebPediatrics–Dr. Kovacevic: terrific info from a Pediatrician/PANDAS Specialist. 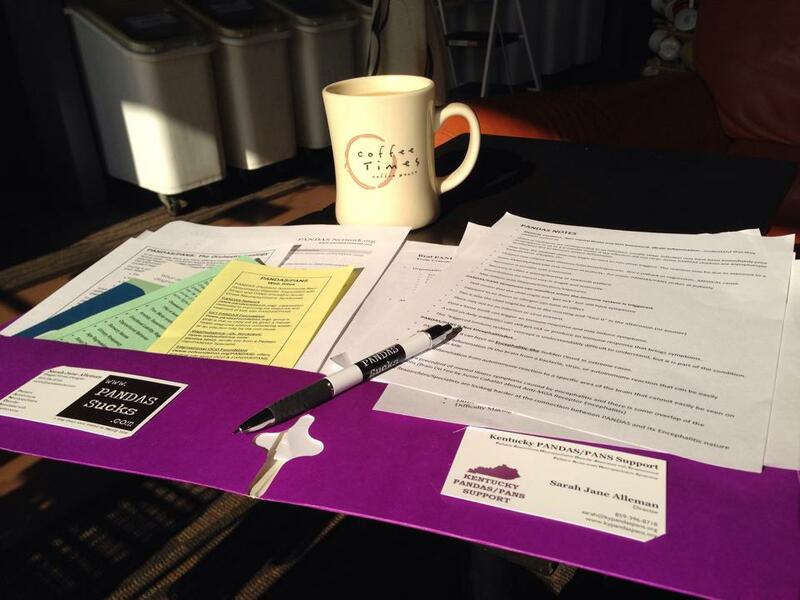 International OCD Foundation PANDAS Page: offers practical info about OCD & PANDAS/PANS. StrepMonster: great gateway to various PANDAS/PANS sites and a link to YouTube videos about the condition. The pretty purple folder of PANDAS/PANS info for my son’s school. ALSO, always keep in mind that in some cases, school may not be the best environment for your PANDAS/PANS child. Take it from somebody that homeschooled for three years. OMG! I always tell PANDAS parents that your child’s HEALTH is more important than frickin’ school. They can learn later when they are well. Homeschool or homebound instruction IS school, and children DO learn. Education decisions are not easy, and hopefully, your school will be understanding while you search for a diagnosis and the correct treatment plan. YOU know what is best for your child in all things. So, for those of you struggling with PANDAS/PANS and school, just know it can get better, and that it will. Next up in the PANDAS School Daze Series, we’ll talk about how PANDAS/PANS might manifest during your child’s school with Lesson 2: Symptoms at School.